Lee often told residents of Monroeville, the town upon which Maycomb was based and where she died February 19, that if there were ever to be a second Harper Lee book, that it would be published posthumously. This changed in February, 2015, when Lee’s new lawyer announced the impending publication of a “To Kill A Mockingbird” sequel. 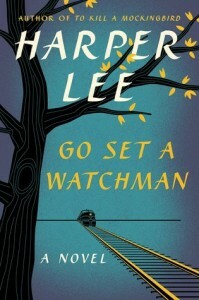 The manuscript of “Watchman” was Lee’s first novel, finished in 1957. Her editor at the former J.B. Lipincott Company, Tay Hohoff, encouraged Lee to develop the flashback sequences, which comprise a good chunk of the narrative. These scenes, which deal with Scout’s older brother, Jem, and their occasional next-door neighbor, Dill (modeled on a childhood version of Lee’s friend, Truman Capote, much as Scout and Atticus are similar to Lee and her own worshipped father), soon proved to be a more viable endeavor for a book. The rewrite became “To Kill A Mockingbird,” which for 55 years was Lee’s sole published work. I refused to read “Go Set A Watchman” because I suspected that Harper Lee didn’t want it published. Lee’s sister and legal guardian, Alice, had died prior to the manuscript being “discovered” by lawyer Tonja Miller, and I didn’t want to be party to what I thought of as someone’s betrayal. The way I saw it, she didn’t like this book as much and didn’t want it to potentially besmirch “Mockingbird.” Who wants to be revisited by her lesser work? I thought of “Watchman” like I would a blood diamond, and it didn’t help when I saw it in Costco, in July, along with the early Christmas decorations. I don’t know what prompted me to pick up and read “Go Set A Watchman” following Lee’s death. Maybe because the “posthumous” part had finally come true, and she belonged to the ages rather than an assisted living facility. I no longer felt, too much, that I was invading her privacy. And it’s a lovely book. “I wonder what kind of miracle we could work with a week’s decency,” Jean Louise says at one point. But now that I have read 100 percent of Harper Lee’s novels, I am uncertain that “Watchman” could stand independent of “Mockingbird.” The real delight I took in reacquainting myself with Jean Louise, Maycomb, and Atticus was due to each of these elements aging sensibly from source material I was already familiar with. Lee’s skill in making Jean Louise the credible adult version of the child the world fell in love with when they met her in 9th grade English nevertheless made this a great read. Early reviews of “Watchman” made much of Atticus’ alleged racism and his participation in a “citizens’ council” opposing the NAACP and the landmark 1954 ruling in Brown v. Board of Education of Topeka, which declared school segregation unconstitutional. As a snapshot of Southern life in the 1950s, Lee’s depiction of this is vivid. She frames her father’s support of what Scout considers a betrayal of the values he championed in “Mockingbird” in terms of States’ Rights and White Man’s Burden. But the second half of the book, which begins with her discovery of a racist tract in her father’s reading material, makes of “Watchman” less a novel than an essay. It’s here where the book falls short. But it’s also worth noting that Lee wrote “Watchman” in her own time and “Mockingbird” in hindsight, as nostalgia, where everything is buffed and glows. We look at “Mockingbird” as a classic because it reflects small-town life as we wish we lived it. Especially as seen through the filter of “Watchman,” when Jean Louise must come to terms with the humanity of her father, we now realize that Lee wanted to get back to that simpler, earlier time, too. The parts of “Watchman” that aren’t sweet flashbacks or angry diary entries spoken out loud are wonderful writing, but a reader can also sympathize with Lee’s editor, who saw in the 26-year-old Scout’s recollections some real magic. I feel other books have better navigated a child’s dawning disillusionment with its elders, and “Watchman”‘s ending is clunky, but it’s a much better revisit than “Doctor Sleep” or “The Evening Star” or “Godfather III,” each of which was (unfairly, I think) pilloried for being unworthy successors to classics. Sometimes the next thing that happens just isn’t that interesting to everyone else, that’s all. But as opposed to legitimate but unsatisfying sequels, “Watchman” is like the Wordsworth line “The Child is the father of the Man.” Lee worked back from Jean Louise’s adulthood to make an indelible Scout. And as that Scout is the one most people will remain familiar with as long as 9th grade continues to be taught in this country, then “Go Set A Watchman,” as an infinitely looping companion piece, is a worthwhile and convenient bookend to your Harper Lee library.